The Missouri Supreme Court has set an execution date for a man convicted of the murder of his St. Charles County neighbor in 1990. 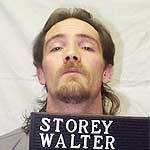 Walter Timothy Storey is scheduled to die by lethal injection February 11 for the murder of Jill Frey. Court documents say Storey lived in the same apartment complex as Frey. He entered her apartment on the night of February 2, 1990, stole her car keys and then stabbed and beat her until she bled to death. The next day he returned to the apartment and attempted to conceal the crime. Blood evidence found at the scene and in an apartment dumpster led police to Storey. Missouri is next scheduled to carry out the execution of Marcellus Williams on January 28 for the murder of Felicia Gayle in 1998.